Our introduction to Angkor was a beer by the same name. 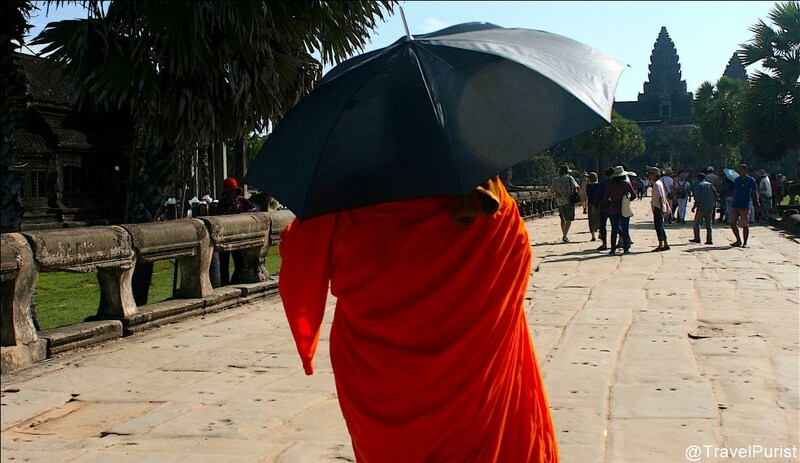 Nobody warns you that a visit to the temples of Angkor will be as hot and exhausting as it will be memorable. And nothing really prepares you (not even the beer) for the vastness of the temple complex or the crowds. Easing ourselves into Angkor by first exploring the satellite temples – no less significant than Angkor Wat – we saved the latter for a grand finale. 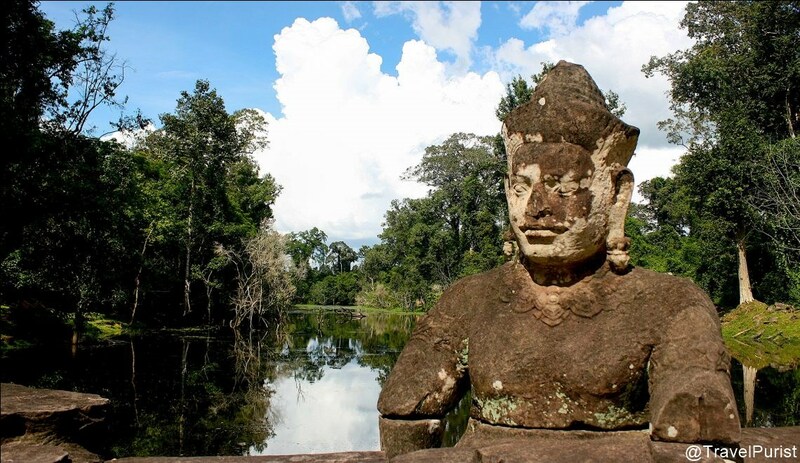 From Siem Reap, the road to Angkor and its temples is carved through a forested area that had startled the French naturalist Henri Mouhot in 1863. 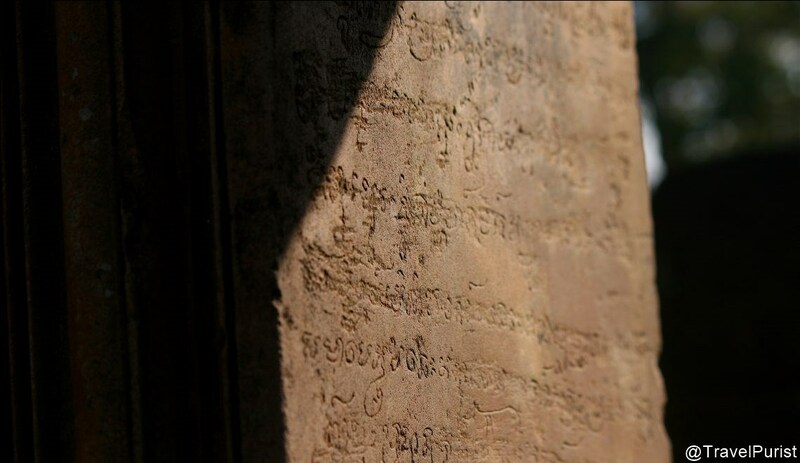 He went on to share this ancient Khmer secret with the world and the rest is history. A serene melancholia envelops these stone edifices located amid their leafy environs. Signs saying ‘This area has been cleared of minefields’ abound; certain temples urge you not to stray from the usual path for fear of active landmines and others even forbid entry unless you’re accompanied by a guide who can lead you through them. 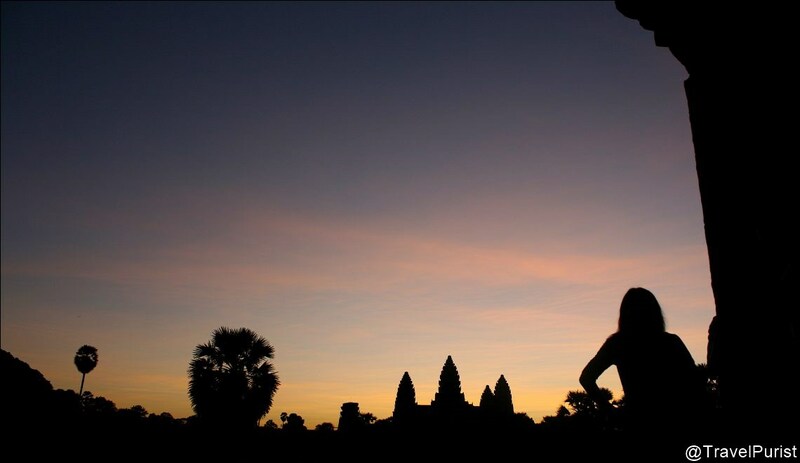 Siem Reap and Angkor, like the rest of Cambodia, will be etched in our minds as the scene of unspeakable carnage; the beauty of the temples is a solemn one. 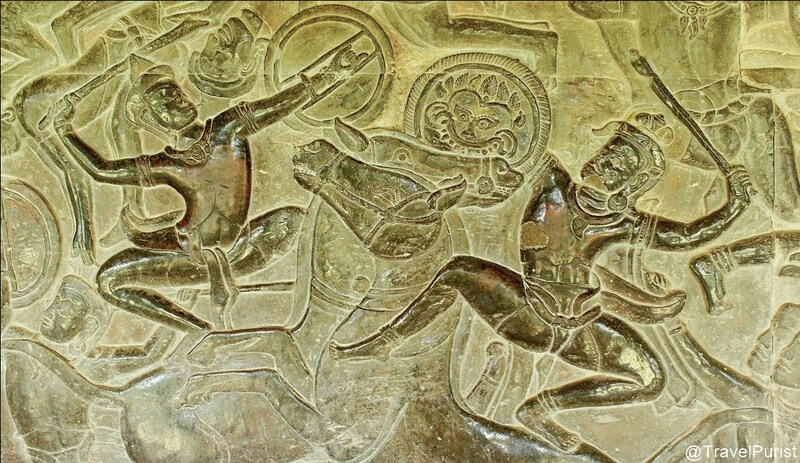 The erstwhile capital of the Khmer empire, among the most prominent in Southeast Asia, Angkor is a fitting representative of lost civilizations. 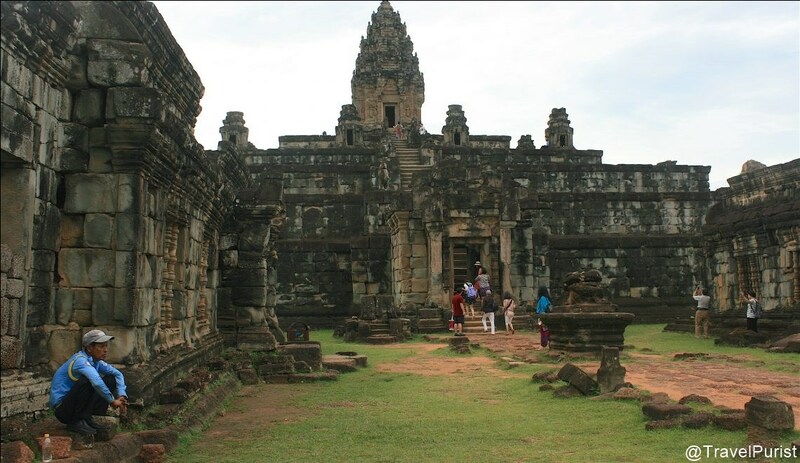 Given the abundance of beautiful ruins in the region, temples are divided by significance into the Big Circuit and the Little Circuit. 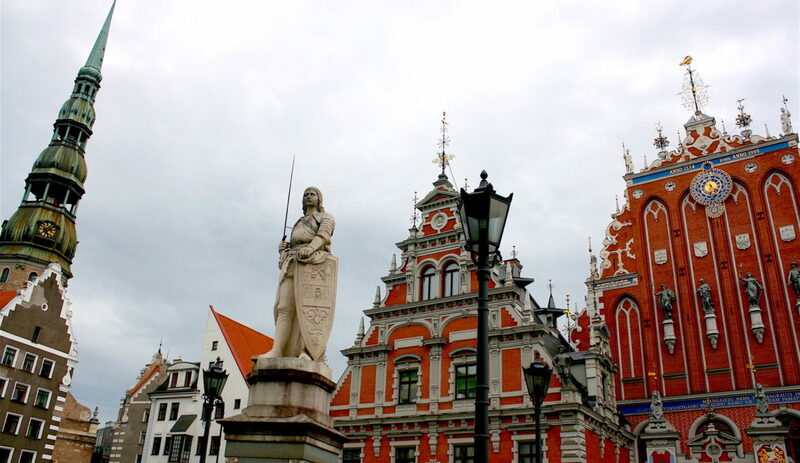 Alternately, they may be divided geographically or by historical significance. 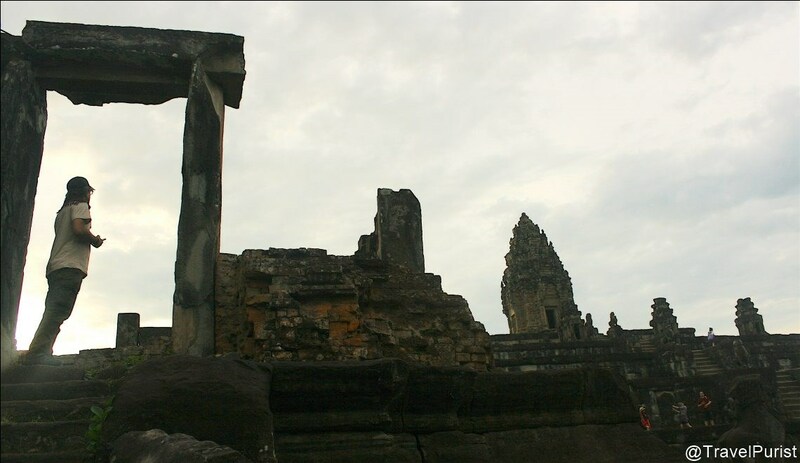 The architecture is divided into nine periods beginning with the 9th century Roluos temples. 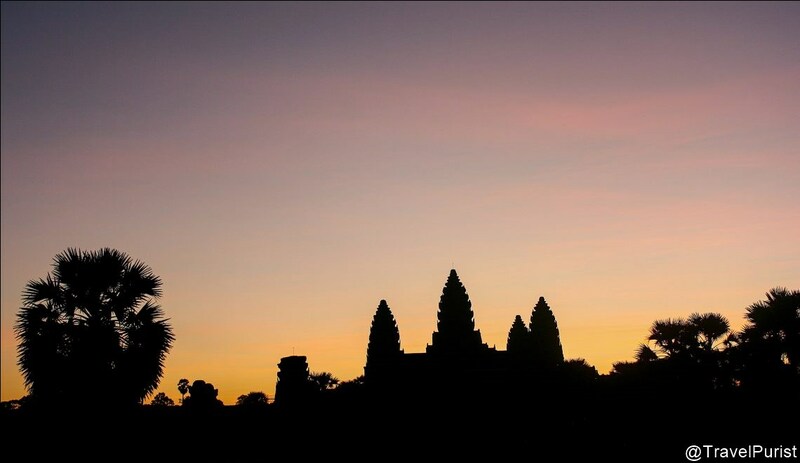 Preparing for a trip to Angkor is a forbidding task and a recommended academic exercise you will not regret. 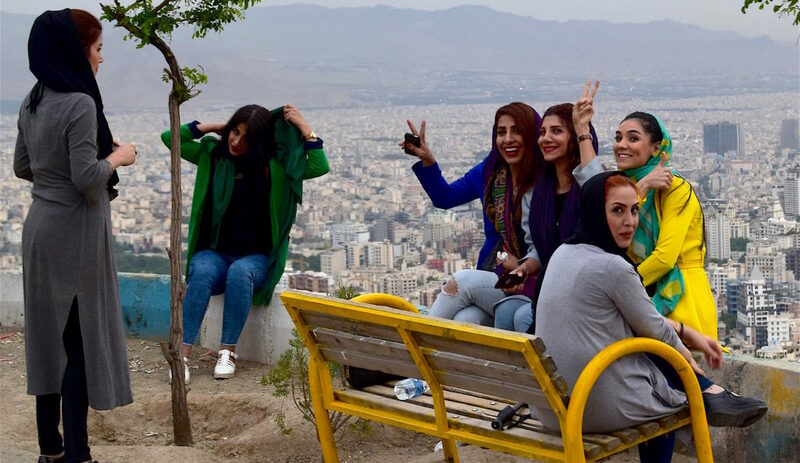 Guides need to be booked in advance, especially during tourist season, but many are mediocre in their interpretation of history or limited in their knowledge. 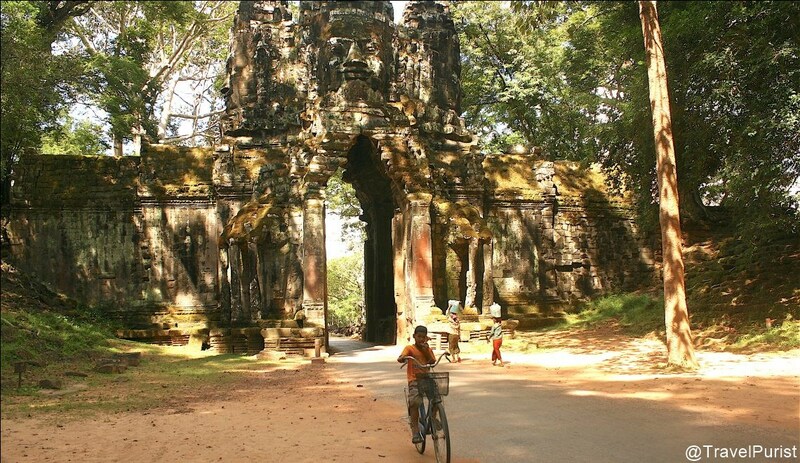 A more satisfying way to discover Angkor is to chart your own route and explore the temples at your own pace, armed with some basic knowledge and with a reliable book in tow. We found the easily available Ancient Angkor by Michael Freeman and Claude Jacques (beware of pirated copies) to be an excellent guide that allowed us to sit on the stone steps of the Bakong temple at leisure and immerse ourselves in its history, enjoy a sunset at Pre Rup and identify for ourselves the sculptures of Banteay Srei. The recurring Hindu imagery is familiar with its Nandi, Lingas, Apsaras, Nagas, Devas, Asuras and sculptural representation of stories from the epics. Look out for the Sanskrit inscriptions carved in the doorway. 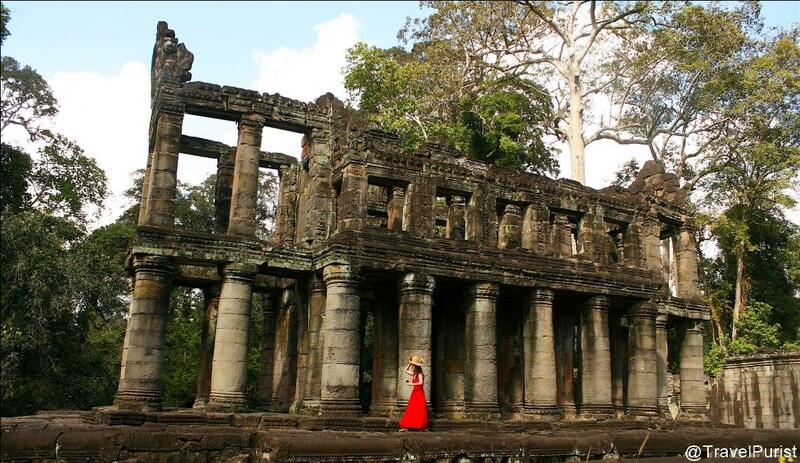 The French film, Two Brothers (2004) – a tale about tiger siblings – was shot at Ta Prohm and used 30 tigers for the lead roles as the cub-actors began to grow up during the making of the film. 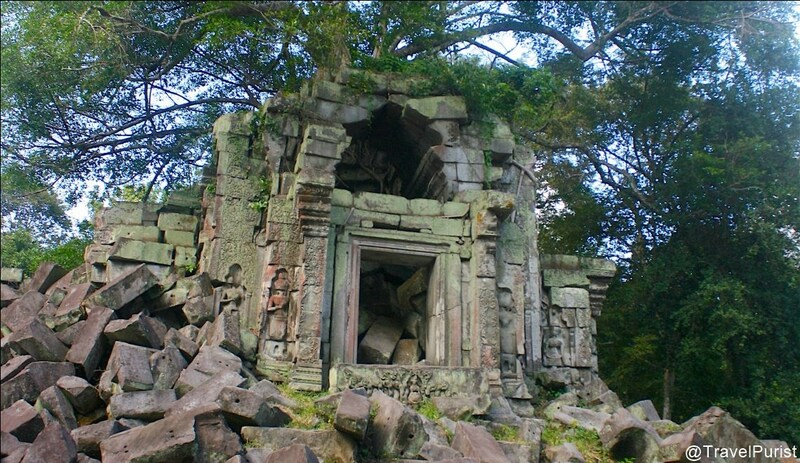 With its stone walls seemingly held in place by giant tree trunks and embraced by gnarly vines, the temple is better known for its association with the Hollywood production Tomb Raider, and attracts its share of crowds. Today, Beng Mealea is more pristine. Like the remains of the Angkor-inspired King Louie’s palace in Jungle Book, this half-formed temple emerges from amid heaps of rubble yet to be pieced together like a jigsaw puzzle. 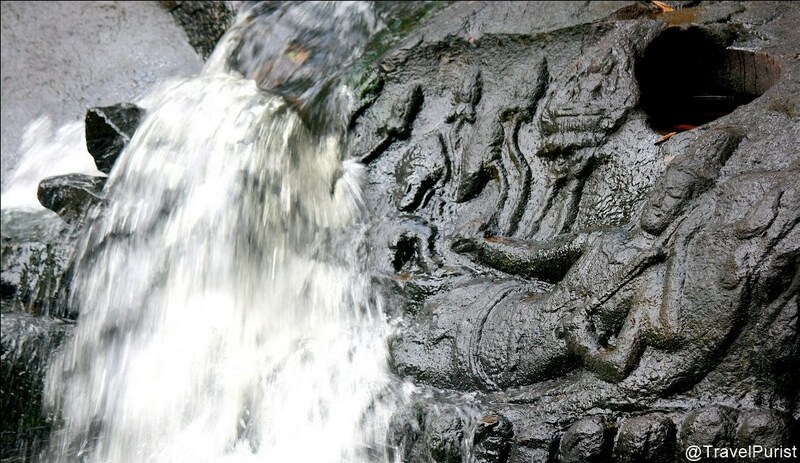 Meanwhile, a 2 km trek leads to a reclining Vishnu, Brahma and hundreds of lingas carved into a riverbed at Kbal Spean. 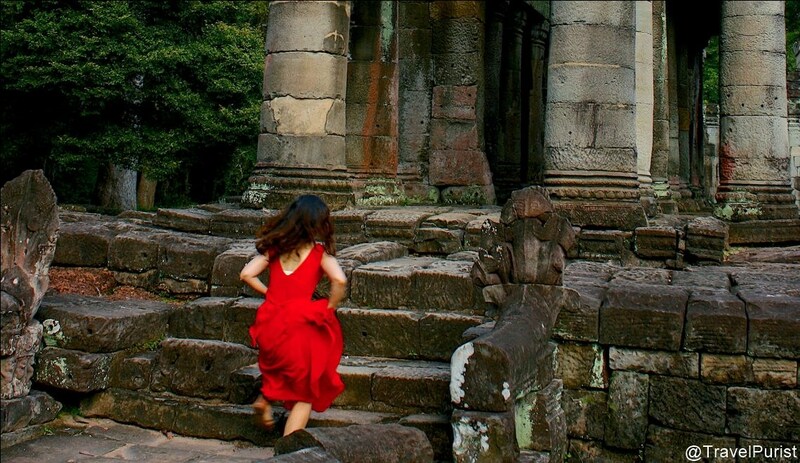 A visit to Angkor is not without adventure. For trekking enthusiasts there are routes up Phnom Kulen – Cambodia’s Mount Meru – past more such riverbed sculptures, temples and other archaeological treasures. 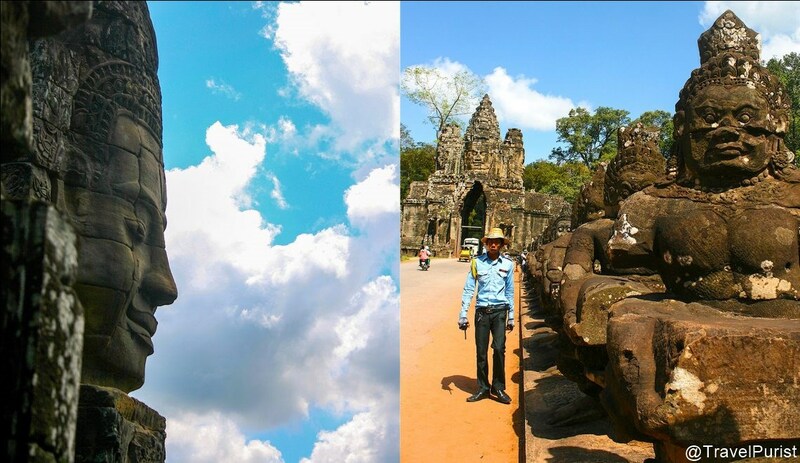 However, nothing prepares you for the sheer scale and magnificence of Angkor Wat and Angkor Thom that preside wisely over their surroundings. 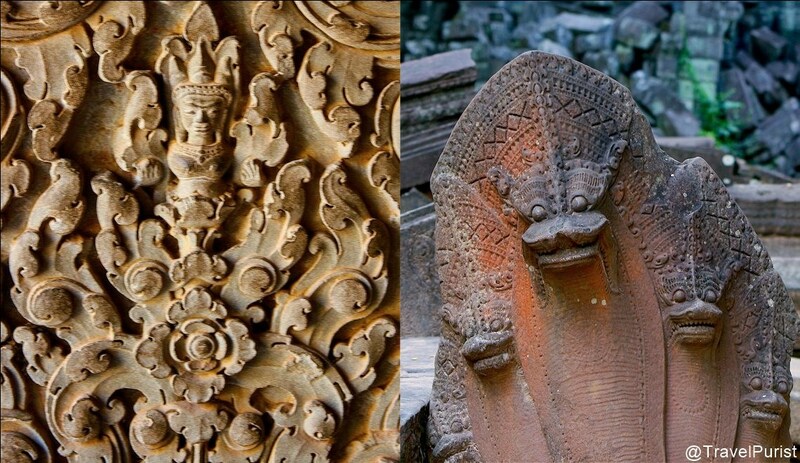 If Banteay Srei, with its figures from the Hindu pantheon and Sanskrit inscriptions, was reminiscent of Chola architecture then the mysterious faces of the Bayon resemble the Easter Island statues, and Baphuon with its gigantic stone steps looks like a distant relative of the Mayan pyramids. 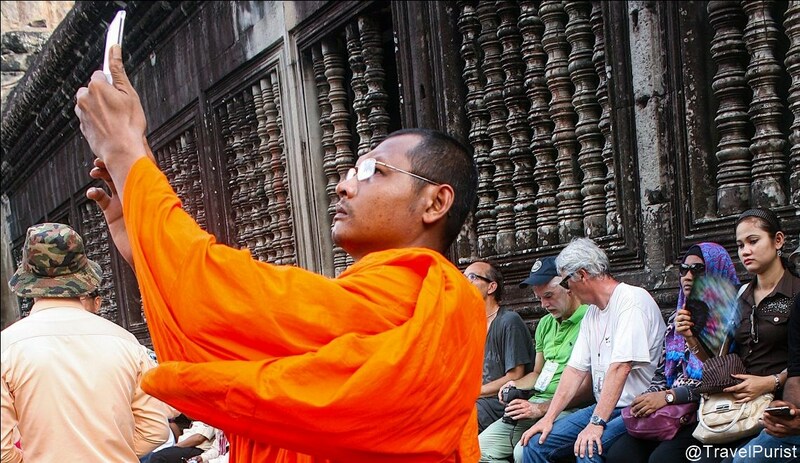 Finally, decide against better judgment, swallow your purist’s pride and join the throngs of tourists for sunrise at Angkor Wat. 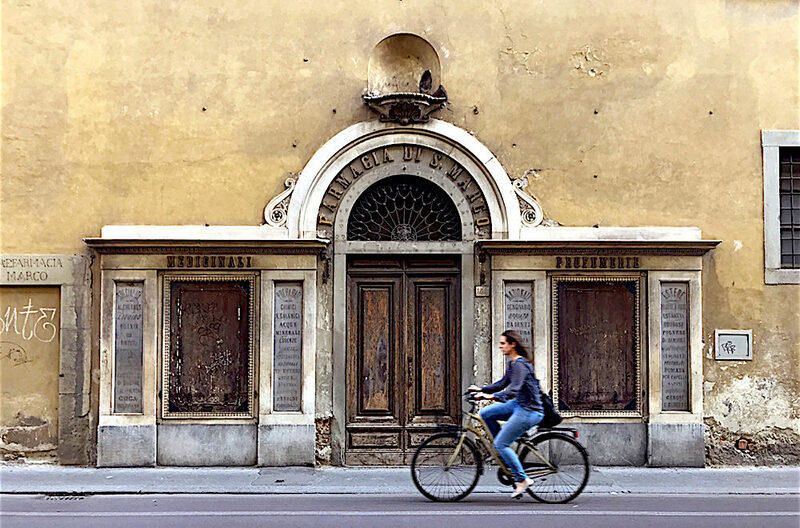 Find yourself an elevated spot in the background, plug in your earphones and play Grieg’s Morning Mood for the most dramatic few moments of your travelling life. Stay: The quiet, verdant Palm Village Resort & Spa, located between Angkor and Siem Reap, is a cluster of independent Khmer-style bamboo cottages with a pool and spa. Good service and value for money. Provides car hire. ‘Insect tapas’ at Bugs Café. This includes dishes such as wok-fried silkworms, green papaya salad with scorpions, and tarantula samosas. Handcrafted miniature wooden sampans and coconut shell bowls with lacquerware at the Angkor Night Market. Experience: Check local listings for shadow-puppet shows hosted by local restaurants.